My Project/Build: Ever Seen An SC300 With 36 Colors? 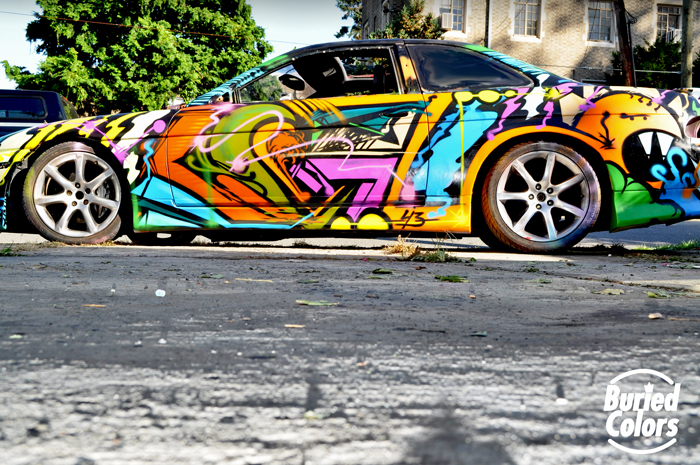 Ever Seen An SC300 With 36 Colors? I figured I'd do a little progress build on the new paint job for my car. 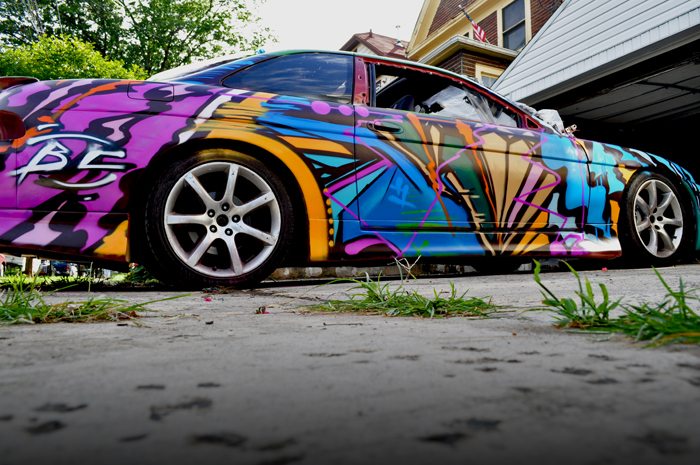 I'm taking a cue from the IS350 that was graffiti bombed. 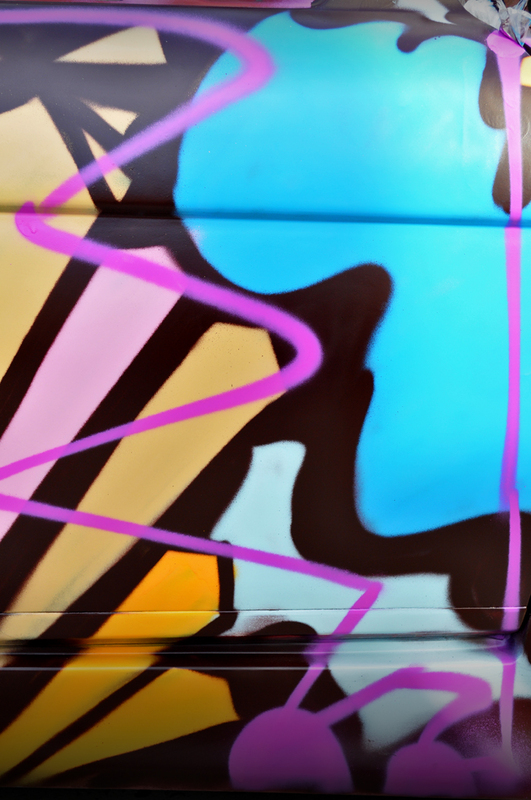 I used 36 cans of ironlak paint, and got 2 artists to do the work (AOK and BuriedColors). I also got an AIT AC replica front bumper. The wheels are my winter rims, and not the ones that will be on the car. That's it for now. I still have to get the hood, trunk, and roof done. I know it's not for everyone, but it's something that stands out and I'd rather the car be a piece of rolling art than just a copy of something I've seen elsewhere. APIDA Mobile Auto Mods by Tavarish - Schedule an appointment today! Last edited by tavarish; 09-09-2011 at 12:43 AM. 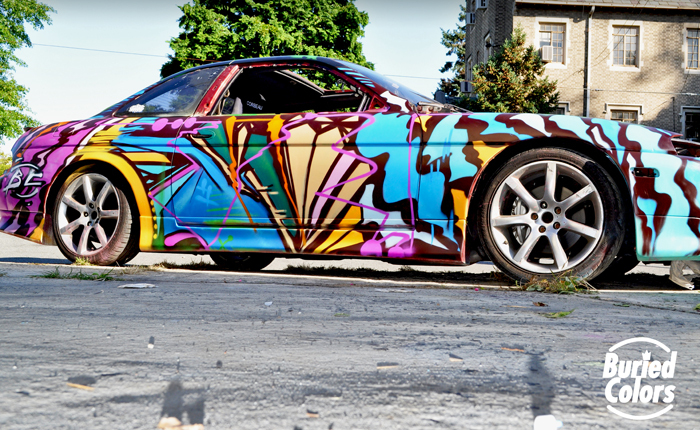 Re: Ever seen an SC300 with 36 colors? Tight. I like "the other side" better. You'll definitely get a lot of attention..very different for sure. That definitely different and interesting!!! Not sure what to think... Will there be a clear coat ? No clear, the paint is urethane, and the car will be kept under a cover in a garage. I'll have a daily driver so I don't get the wrong kind of attention. 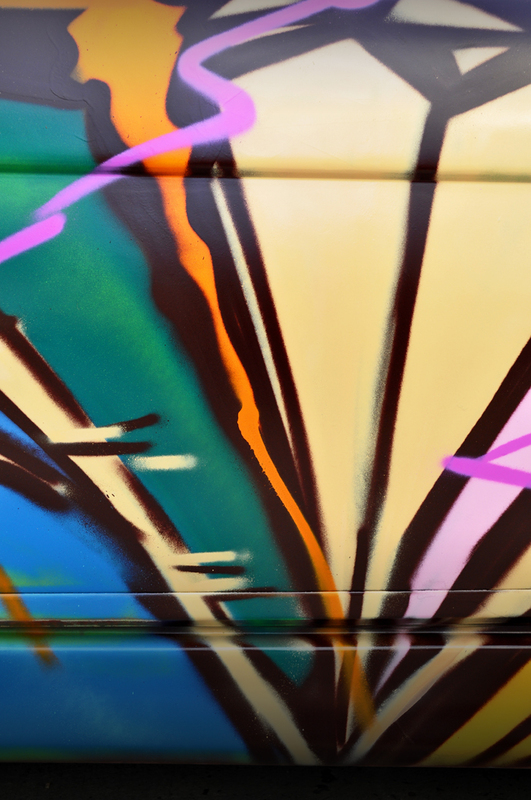 Freddy, your ride will blend in nicely at 5 Pointz! It will be camouflaged. 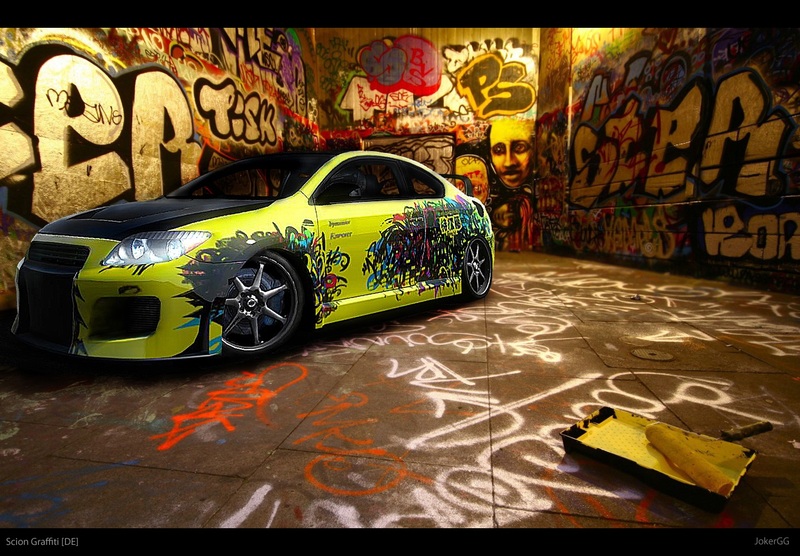 I like the paint job! Very unique!!! Nice job, I remember when you did your own paint job, now you're actually having a masterpiece. Great job. not sure how i feel about it... will decide when its 100% finished. ^^^ That pic is sick bro !!! I agree with you Cris!! That is an amazing pic @chulo posted!! I also like the other side a bit better. Nice way to do something less done. I think it should come out nice. I like it. diffrent but good. they did a great job. I'm in for finished pics. I love love the idea, I am just not in love with the content, i mean i like it, its just one of those things ya know. None the less car is looking real nice. I like the idea, your right, have it different than every other car. Not in to that but looks pretty cool. just to give you a heads up ironlak will fade quick so try not to keep it in the sun. i been doing graff since mid 90's and although ironlak is the new brand in town it has its flaws. i like the sceond side shown more.. shows more can control. Wow, that is very colorful and unique.. I like it bro. Very unique!